Product prices and availability are accurate as of 2019-04-02 15:48:01 EDT and are subject to change. Any price and availability information displayed on http://www.amazon.com/ at the time of purchase will apply to the purchase of this product. 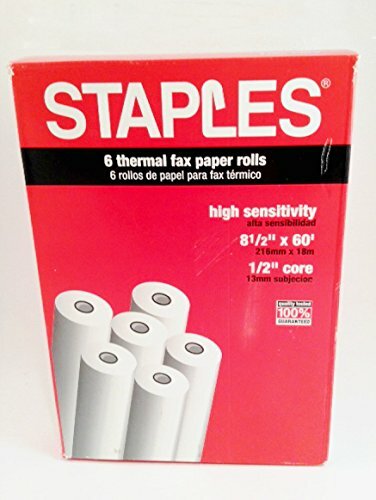 Staples thermal fax paper with a 1/2" core is ideal for wide range of applications to offer better print. 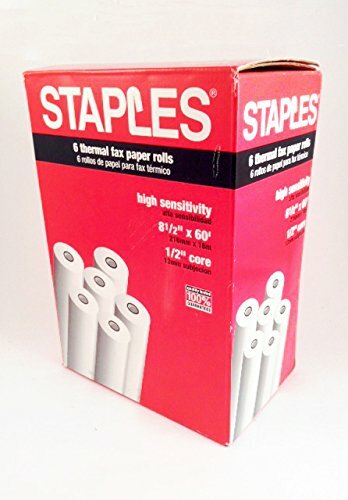 The paper measuring 8 1/2" x 98' is ideal for use in thermal printers. Suitable for many machines. 8-1/2" wide. 60' roll with 1/2" core.